With True Convection and 14 cooking modes, our 30-inch Masterpiece Double Oven gives you 4.7 cubic feet of oven capacity and the convenience of cooking several dishes at the same time without flavor transfer. And our this new model features multiple design upgrades including SoftClose® doors to ensure ultra smooth oven closing. Real cooks need dish care solutions that give them the flexibility to entertain without restrictions—that complement their passion for the food experience. 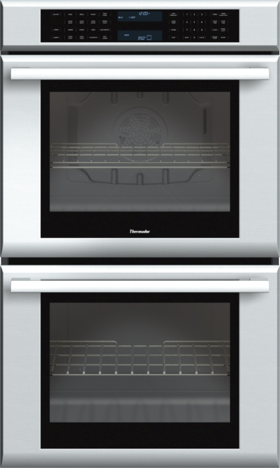 The Thermador® Collection of dishwashers delivers luxury performance with absolutely unparalleled flexibility. Our innovations enhance the experience of entertaining, ideal for the frequent host. Thermador‘s new Built-In MicroDrawer™ Microwave with a spacious 1.2 cu. ft. capacity and 950 Watts of power can be conveniently installed below a countertop for easy access. The Perfect Flush Installation blends beautifully with your cabinetry. New 36-inch Professional Series Rangetops give you the convenience of our fourth-generation pedestal Star® Burners for the highest standard in performance and convenience. This model features 6 Star® Burners (2 with ExtraLow® feature). Offering a combined 10.0 cubic feet of oven capacity, this Jenn-Air® double oven achieves beautiful results whether baking, broiling or roasting with the MultiMode® convection system. 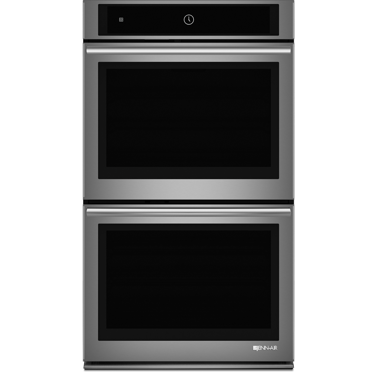 A 4.3-inch full color menu-driven LCD display effortlessly sets different cooking modes and functions, and touch points like telescoping glide racks make this wall oven a distinctive choice. This wall oven pairs beautifully with appliances in our Euro Style suite. This sleek under counter microwave oven with drawer design gives you added flexibility in your kitchen design. At the touch of a button, the drawer automatically opens and closes. And auto sensor cooking determines the optimal power level and cooking time for exceptional results. Featuring the TriFecta™ wash system, this Jenn-Air® built-in dishwasher boasts a 14 place setting capacity that is ideal for families who frequently entertain, a Precision Dry® Plus option that dries dishes with both heat and a fan, operates as quietly as 38 decibels, and can connect with in-home WiFi to provide remote control through an app. Jenn-Air Pro-Style Gas Rangetop 36"
This sophisticated Jenn-Air® Pro-Style® rangetop, with six burners, offers the power and precision for different cooking techniques. Two 20,000 BTU stacked burners offer exceptional power for high-heat cooking, while the simmer burner offers precise control at lower heat for more delicate cooking. Preserve every incredible moment in your culinary adventures with the New Freedom® Refrigeration Collection. Taking personalization to a new level, the Fresh Food, Freezer, and Wine line features custom exterior and interior renovations, so every element has been meticulously crafted to let you flavor life the way you like it. From new 36" columns, the collection makes a big statement in preservation innovation. The Viking Professional 30" Built-In Electric Double Ovens deliver a spacious electric oven with premium features. With the largest oven cavity, patent pending convection system, and improved performance, these self-cleaning ovens raise the benchmark for ultra-premium kitchens. The slim design and heavy-duty construction of the Professional DrawerMicro maximizes kitchen space, so you can conveniently tuck it away under countertops, in an island, or beneath your wall oven. Automatic drawer-style access capitalizes on the 1.2 cubic foot capacity to surprising - and easy - effect. And 12 sensor cooking options make cooking anything a breeze. Equipped with 15,000 BTU Pro sealed burner system ­ and an 18,500 BTU TruPower Plus™ burner on select models ­ custom gas rangetops deliver the ultimate in performance. The VariSimmer™ setting and SureSpark™ Ignition System ensure perfect temperature control even at the most delicate settings. Exclusive stainless steel knobs and included island trim add a subtle dash of style to any kitchen. The Professional bottom-freezer refrigerator features a drawer-style freezer compartment to store frozen foods neatly and offer easier access to bulky items. With the freezer located below, the large-capacity refrigerator compartment stores fresh foods at an easy-to-reach level. Is there a signature dish you’ve never quite dared to prepare? Beef Wellington, perhaps, or spinach soufflé? 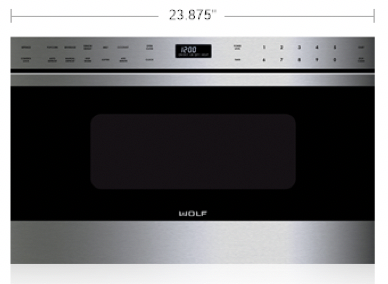 Now is your time, with the new Wolf 30” M series built-in double oven. It takes the guesswork out of even the most difficult dishes. Just dial in any of 10 precision cooking modes, and the oven delivers the optimal heat and airflow for the dish. No hot or cold spots to spoil your results. Just beautifully browned roast chicken, perfect chocolate chip cookies, crisply crusted casserole. You’re in culinary heaven. 44 dBA: Quietest Dishwasher Brand in the U.S. A 3rd rack adds versatility and offers 30% more loading capacity. FlexSpace™ Tines fold back to fit your larger pots & pans. RackMatic® offers 3 height levels, for 9 possible rack positions. Speed60® gets your dishes from dirty to dry in about an hour. You might be surprised at the microwave meals whipped up lately in the Wolf test kitchen. Chicken cordon bleu. Glazed salmon. Swiss sauce cauliflower. Meatloaf as good as Mom’s. (Just don’t tell Mom.) Yes, the Wolf 24” Drawer Microwave is a true cooking instrument, capable of making real meals, real fast. And it installs in spaces conventional microwaves can’t. As a speed cooking tool, the MD24 excels, with 950 watts of power and a 1.2 cu. ft. capacity. More to the point, it's equipped with innovative features that make preparing real meals easier than ever. There is a reason why so many professional chefs choose gas cooking: control. Wolf takes that control up a notch with the six innovative burners on its 36” sealed burner rangetop. Each dual stacked, sealed burner has both an upper and a lower tier of flames. The upper flame ports deliver maximum heat up to 20,000 Btu for restaurant-quality sears and faster boils, while the lower ports turn down to just a breath of flame for delicate simmers and melts. You’ve never cooked on anything so responsive, so powerful. Wrinkled fruit, wilted lettuce. You’ve seen your share of past due, even spoiled food in the refrigerator. Well, it doesn’t have to be that way – the Sub-Zero 36” Built-in Over-and-Under Refrigerator keeps your food fresher longer with the most advanced food preservation technology available - a technology developed through almost 70 years of research. That means crisper greens, juicier peppers, blueberries that burst with flavor – even weeks after you’ve brought them home from the market. You'll taste the difference.